Harvested along the entire east coast of the US and Canada, eastern oysters take on the flavors of the waters around them, thus oysters are often named by their origin. Salinity is the biggest factor, but temperature can affect their size and texture as well. Eastern oysters tend to be salty and meaty. Eastern oysters are found along the Atlantic coast of North America and throughout the Gulf of Mexico. 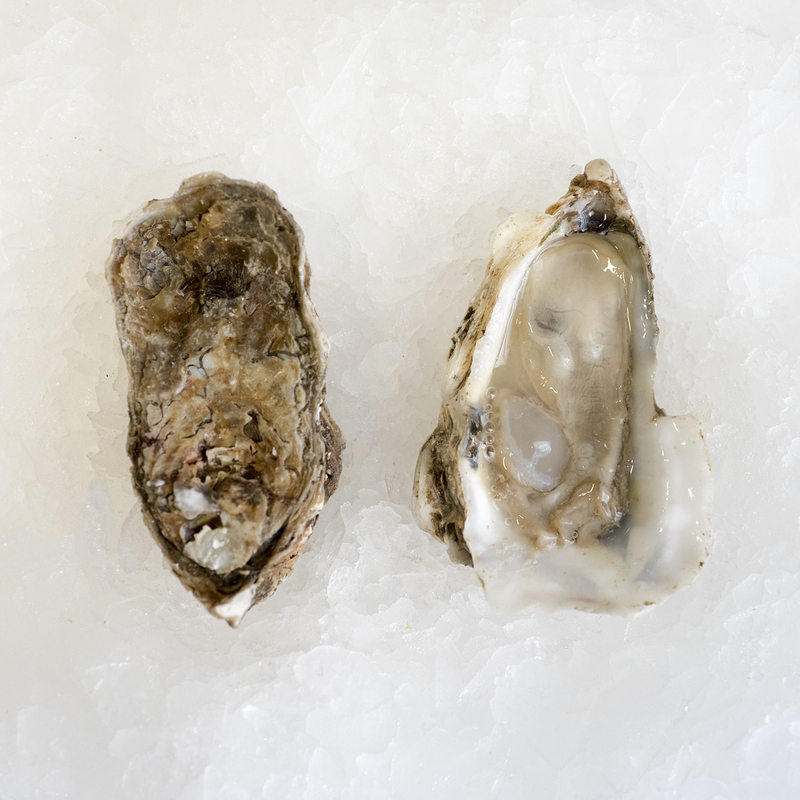 Eastern oysters are both wild harvested (primarily in the Gulf of Mexico) and farmed (primarily along the Atlantic coast of the U.S. and Canada). Many wild populations have decline substantially due to habitat loss, coastal pollution, and overharvest. Now wild oyster harvest is regulated to conserve what remains and in some areas wild beds are being rehabilitated to increase populations. Wild oysters are harvested with dredges or tongs, which is a fairly gentle method. Farmed oysters are usually raised in bags or racks or attached to ropes in their native habitats. Oysters are filter feeders, removing excess nutrients and particulate matter from the water as they feed, actually improving water quality in the surrounding area. Drawn from the pristine waters of Mobjack Bay, Stingrays are the quintessential Chesapeake Bay oyster: sweet and mildly briny with a clean, crisp finish. Named after the Bay oyster's chief predator, these Stingrays bite back!